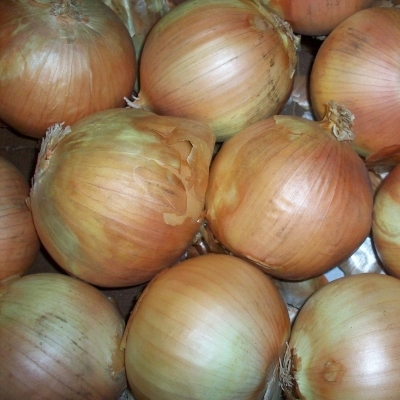 Onions are one of the most commonly used vegetables. Whatever you may be cooking, an onion is likely to be one of the key ingredients. Using diced and sliced onions enhances the taste of your dish. Unfortunately, cutting an onion can have problematic side effects such as irritation in the eyes and unpleasant smell. Furthermore, cooking experts recommend using properly diced onion to avoid uneven cooking. Firstly, consider cutting off the extended ends across the round and circular surface of the onions. Use a peeler to remove outer layers of skin. Do not forget to get rid of bruised and loose layers. You can buy a peeler from your local grocery store if you do not have one already. Next, slice the onion into two equal halves. Consider holding the onions strongly with the flat edge down against the cutting board. Starting at one smaller rounded end, you will be required to slice straight down using a sharp knife. Make sure you have cut through the sides of the onions properly to avoid uneven distribution. It is extremely important to sharpen the knife before cutting your onions as this will help you create slices and sections with minimal of effort. The width of all sections should be the same. If possible, maintain a very firm grip on the onions to prevent your fingers from a sharp knife. Slice two times parallel by turning the onion by right angle. Put the flat edges against the cutting board so the sections are created to the right width and length. Make sure you slice through the onions completely to avoid leaving the last couple of degree attached to the base. Remember to take your time and slice carefully. Check the onion’s base you are holding in your fingertips to see if there is still some onion you take out. If there is no more onion you can take it off, consider throwing this part away. Look around to see if there are any sections of onions that fell off the cutting board. Chop these sections using the same method.